Today, users have many choices for synchronizing files and backing important memories and personal assets including music, pictures, notes, business documents, and other personal or business files. Recently Microsoft and Google have upped the ante against Dropbox and Apple with their latest offerings. 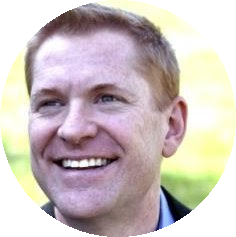 The offerings range from free to premium services, also known as the “freemium” model. Amazon also has some interesting benefits, such as unlimited music storage which I have started to use. Finally Box which also competes in the space for “personal” cloud storage may be better suited for company or team based scenarios. In this post I will cover some of the pros and cons of each and some common scenarios for usage. I will also discuss what you get for free, and what some extra charges will get you an how much it will cost (measured in gigabytes per month). I’m a Dropbox user. I also have used all of the other services to one degree or another either purposefully or unknowingly. All of the vendors want you to use their cloud drive service, although some of the vendors make it easier or more difficult based on your usage scenarios. In this post, I will discuss some of my usage scenarios. I can’t describe all possible usage scenarios but I can discuss the ones that may be more common. Usage scenario #1: I need a place to store my important documents that are easily accessible from any device and will be “backed” up without thinking about it. Usage scenario #2: I need a place to store a ton of music files because I ripped my entire CD collection and no longer listen to music using a CD player. Usage scenario #3: I have a ton of pictures that I need to store. Usage scenario #5: I need to take notes and get access to my notebook from any device any time. Each company offers a free storage plan. Dropbox offers the least, but includes referral incentives to get up to 18 GB. They also incentivize by offering to give you more space if you store your photos taken from your phone using an auto-upload feature. I’m at around 6 GB currently (which is more than Google, Amazon, Apple, and Box provide for free). But it is not as clear cut as that. For example Google gives you 5 GB but that doesn’t count the 1 GB of free image space via Picasa or the 10 GB of space via Gmail. Apple gives you 5 GB total for backups, images, email, and everything, but you get free storage of any media that you purchased from them (movies, books, and songs). After analyzing all of the plans from each vendor, I calculated the number of GB granted by each vendor either with a monthly or annual charge and normalized the cost to a monthly cost per GB. The spreadsheet is accessible on SkyDrive here and available for online viewing or download. If a company offered both a monthly or an annual rate (such as Dropbox) I used the cheaper of the two. One thing that surprised me was that Box was so expensive compared to the rest. They probably are more interested in the business or corporate plans since box’s price sheet seems to be emphasizing these two enhanced plans. Another thing that surprised me was how cheep Microsoft is compared to the rest. This is not even considering the 25 GB bonus they are handing out which I describe later on in this post. Of the six companies I compared, they all have paid storage in the 20 to 100 GB range (with Apple and Box both capping out at 50 GB for personal space). But two companies went well beyond that range. Amazon goes up to a terabyte (1,000 GB), and Google goes up to 16 terabytes of personal storage for a fee. The most interesting free plan today is Microsoft SkyDrive, which not only is offering the most amount of free space (7 GB versus 5 GB for most of the others). But also, Microsoft recently bumped the free storage from 7 to 25 GB for existing SkyDrive users. If you are not sure if you are a SkyDrive user or not, log in to http://live.com using your Windows Live ID account and click on the SkyDrive link at the top. Then on left menu you will see how much space you have on SkyDrive. 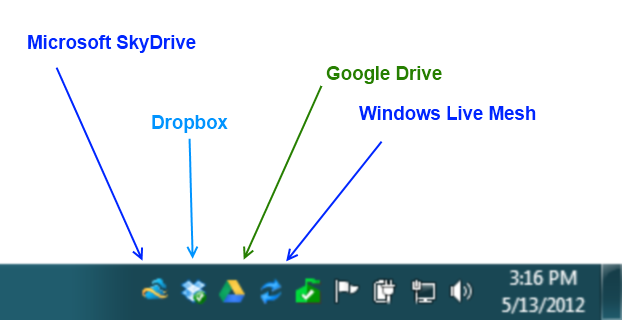 Another thing that is interesting about Microsoft SkyDrive is that recently, like Google, Microsoft has added SkyDrive as a native Windows application that will synchronize files very similar to how Dropbox works. The SkyDrive app is also available for Mac, Windows Phone, iPhone, and iPad. Currently there is no SkyDrive app for Android, but there is a OneNote app that will give you access to your notes stored on SkyDrive. 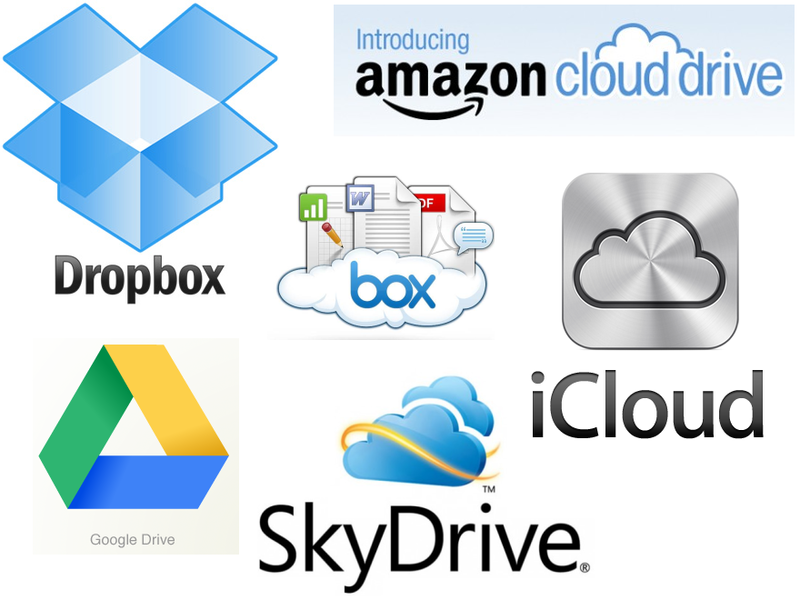 Cloud document synchronization applications to compete against Dropbox is not a new concept for Microsoft. In fact there is another product called Windows Live Mesh which I have been using for a while that works very similarly. The one thing that is different about Live Mesh is that you are able to do peer-to-peer synchronization of massive amount of files without wasting any cloud space. So now, Microsoft, Google, and Dropbox, all have apps that integrate with Windows that allow you to seamlessly sync your files into the cloud. So these three companies handle “scenario #1” I mentioned above which allows me to back up my documents without thinking about it so I can access those files from other devices. This is true if you are a Windows user. Of course if you are a Macintosh Lion user, you can also include iCloud in this list. Apple iCloud allows you to synchronize documents, mail, contacts, bookmarks, and Photo Stream. There is an iCloud Control Panel for Windows, but it only allows for synching mail, contacts, calendars, tasks, bookmarks, and Photo Stream, not documents. I’ve been using Amazon’s Cloud Player (and as a result Amazon’s Cloud Drive) for almost a year now. I’m an old fart who made the shift from vinyl records to CD’s in the 90’s and finally sold off my entire vinyl collection around 10 years ago. It was around then that I began making the transition from CD’s to MP3’s. After I finally ripped all my CD’s to MP3 format I was encumbered with the process of storing, backing up, and moving these files around from device to device in order to listen to music. So I have a ton of music that I paid for and collected over decades that I would like to keep and listen to. I like iTunes, but because it has a tendency of making files proprietary (correction 5/17: iTunes has been DRM free since 2009) and only syncing music with Apple products and devices, I end up using it as a secondary source for my music where the primary source is an MP3 repository that I can listen to on Windows Phone, Android, Amazon Fire, as well as iPad, iPod, and iTouch. So when I purchase music, instead of buying it from iTunes (unless I have a gift card or credit that I need to use), I prefer to purchase my music DRM free in the form of platform agnostic MP3 files from Amazon. (note 5/17: I was able to take some songs purchased this month from iTunes using a gift card and upload them to Amazon Cloud Player and play them on my Kindle Fire, meaning that iTunes songs are no longer proprietary an locked down with DRM) The great thing about Amazon is that not only is it often cheaper than Apple, but I also can listen to it without downloading it to a local device storage by using the Amazon Cloud Player. Also, like Apple, I get free automatic storage from Amazon for all my music. The great thing about Amazon Cloud Player is that you get 5 GB of free storage, so I uploaded many of my favorite songs up to Amazon Cloud Drive so I can listen to it from my Android phone over Bluetooth Audio directly to my car stereo while I’m driving or using headphones while I’m programming. But, the 5 GB was limiting. I got much of my music, but not all of my favorite music up there and was stuck at 5 GB. Any new purchases from Amazon would be added, but I couldn’t add any more songs from my existing music collection without deleting some music off the cloud to make more space. When researching for this blog post, I noticed a great perk to using Amazon’s paid Cloud Drive storage plans: UNLIMITED MUSIC STORAGE (all caps because I’m screaming). So yesterday I paid $20 for the 20 GB for a year. I then proceeded to upload all of my favorite songs up to Amazon and I don’t know for sure, because Amazon doesn’t total the storage that doesn’t count toward my plan, but I believe I have between 10 and 15 GB of music online now. The crazy thing is that my storage went from 5 GB at 99% full to 20 GB at 0% full. That’s right, I haven’t used any of my 20 GB. In fact, I could keep uploading all of my music, even the stuff I don’t like, and keep it all online at no additional cost. But I specifically only uploaded my favorite music because I like to put the cloud player on “shuffle all songs”. That way, I only the music I like gets played. Amazon’s Cloud Player works for me because I have an unlimited data plan on my 4G phone, so I don’t have to worry about data usage. But even if you don’t have an unlimited data plan, the Amazon Cloud Player for Android has a nice feature that allows you to download selected songs, albums, or artists to your device, so you can listen to it from your device instead of from the cloud. Also, if you are current or future Kindle Fire user, all of your music is instantly available on your tablet without any extra installation or fuss. That was one of the greatest delights when I received my Kindle Fire, having all my favorite books and music so easily accessible. Also, the great thing about Amazon music, unlike Apple iTunes, is that if I ever decide to switch to another vendor for music listening or storage, I can download all my music and take it with me. All of the iTunes songs are encoded with DRM (digital rights management) preventing you from using non-Apple products for listening to your music. My vinyl records and CD’s were not locked down to a specific turntable manufacturer or compact disk player maker. Why should the music I buy now be locked down to only Apple devices? Don’t get me wrong, I love my iPad, iTouch and other Apple products. Apple makes great quality devices. But, unless you are an Apple only person (or family) where you only use Apple for all of your digital content from computers to telephones to television shows and movies, then their proprietary lock down practices get in the way. Both Apple and Amazon offer free storage of music when you purchase from them. This can be a deciding factor on which company you choose to expand your online storage by paying, but I find both Apple and Amazon a bit cumbersome for storing Word or Excel documents online since neither have a “Dropbox like” integration with the operating system. As I mentioned at the beginning of this post, I am a Dropbox user. One of the great things about Dropbox is that they are not Apple, Google, Microsoft, or Amazon. Each of the other companies (not counting Box) have a vested interest in you using their devices. Apple sells iPhones, Google has Android phones, Microsoft has Windows Phone, and Amazon sells Kindle Fire. Each of those companies want you to buy their products, so they will likely support their platform first. Dropbox wants to be like plumbing or water. They want to be part of the infrastructure like the Internet. They have seamless integration with almost all devices. I did have to go a bit out of my way to install Dropbox on my Kindle Fire, but I was able to get it to work. Now that Microsoft has a SkyDrive app for iOS, I may consider replacing Dropbox with SkyDrive, but the fact that as of this writing there is no Android app for SkyDrive, I’ll probably be sticking with Dropbox for the near future. Another consideration for moving off of Dropbox and to SkyDrive is security as described by Ed Bott from ZDNet. Also, if you use Windows Phone, currently there is no Dropbox app for Windows Phone and SkyDrive would probably be your best bet. I have found that both Dropbox and Microsoft SkyDrive make it easy to share documents with other people. I don’t know how well the others fare in the file sharing scenarios. Google Drive is very new and has an app for Android since Google also makes Android, but as of the product launch and as of this writing, there is no Google Drive app for Windows Phone or iOS (the operating system for iPhone, iPad, and iTouch). So Dropbox, once again, proves to be a platform agnostic choice. I covered the first two scenarios (storing and syncing documents, and storing music). The other scenarios I touched upon lightly here and there. I don’t personally have a solution for storing all my pictures, but if you have a good solution let me know in the comment section below. For sharing files, I’ve found that Dropbox works very well. For notes, I really like OneNote, so SkyDrive is a great choice. But currently I’m using Dropbox to back up and sync some of my OneNote notebooks. If you like the native integration plus the web based online editing feature for note-taking, then OneNote and SkyDrive make a nice match. I also have been dabbling with Evernote since it is available for many devices, but since it is not a Cloud Drive and only stores notes, it is a bit outside the scope of this article. There are six great vendors today competing for your Cloud Drive usage. They have free offerings plus additional paid storage. They all have different pros and cons. Currently, I’m sticking with Dropbox for files, Amazon Cloud Drive for music, iCloud for all the stuff that Apple puts there automatically, and SkyDrive for my OneNote documents, and I am strongly considering moving from Dropbox to SkyDrive for other files now that I have 25 GB of free storage. I wrote this blog post to share with you the research I did to help me decide which vendor (or vendors) to use for Cloud Drive storage and synchronization. If you found this helpful, let me know by adding a comment. If I forgot something or made a mistake in my calculations, or you simply disagree with some of my reasoning, please let me know below by posting a comment. I would love to hear from you. ZDNet: Dropbox, SkyDrive, Google Drive: which one is right for you? 1. For everyday stuff, I use Drop Box. I can keep the usage relatively low, so it is free. 3. For One Note files, I have a private copy SharePoint that I rent for $8 per month and I keep my Notebook in there. I was particularly interested in this subject, because in 2001 I sponsored a “lock box” in the cloud for Fleet Bank (Remember Fleet?.) It was called fileTRUST. fileTRUST was sold off to Mangosoft, and the product is still around (www.filetrust.com .) Prices are astronomical compared to what you can get today. Where is SugarSync? Last year when I was researching for a cloudstorage solution it seemed the best one (given that I didn’t want to share my files with the big guys microsoft/apple/google). SugarSync is definitely a player in the Cloud Drive showdown. I didn’t cover it because I don’t have any experience with it. Although, at the end of my post I mention a few other articles, including one from The Verge called “Google Drive vs. Dropbox, SkyDrive, SugarSync, and others: a cloud sync storage face-off” which compares SugarSync to the others. Thanks for bringing that up. I’ll be sure to include it on any follow up posts on cloud storage. Thanks for this article, especially the item about 25G free for existing Windows Live users. I apparently had a Windows Live account but had forgotten about it. That 25G will make for a nice backup of my photos. Great to hear. Yeah, 25 GB is by far the most amount of free storage from any of the vendors. Don’t forget about Google Music/Play. Though I haven’t used Amazon’s Cloud Player (and thus cannot compare the two), I find Google Play to be perfect for my music usage. Thanks for the reminder. Actually, I haven’t used Google Music/Play much for listening to music, although from my Android phone I have explored it a bit. Also, their whole app store is now called “Play”. If I have time, I’ll try to follow up with a music centric post comparing Amazon’s Cloud Player to Google Play. I have also heard that you can stream MP3 files from Dropbox as well. There are a number of other interesting contenders in that space such as Pandora and Spotify as well. You did not mention Ubuntu One that gives you 5 GB Free Storage and you are able to sync files from Windows, IPad, IPhone, Android and Ubuntu to one Cloud service. I didn’t even know about Ubuntu One. Just checked it out. Looks like they also have music streaming and 20 GB of stoarge for $40/year that puts them more expensive than Amazon Cloud Drive and around the same price as Apple iCloud. They also have an Android client, which Microsoft SkyDrive is currently lacking. One that should be mentioned is SugarSync. I’ve used it for several years and it’s been great: storage, synchronizing and publishing links to files to make them accessible to others (or just me). You are right, I should have mentioned SugarSync. I’m looking at their feature set and it looks like they may have the most complete support for mobile apps, including iPad, iPhone, Android, Blackberry, WIndows Mobile, and Symbian. Doesn’t look like they have a Windows Phone app yet. But, it looks like they also stream music over mobile devices and have support for photos as well. Thanks for the info on SkyDrive. I checked and I had 7GB, but there was an option for a free upgrade to 25GB. Now I have 25GB. I am looking for a cost effective storage solution to backup photos. If you are strictly looking for Backup, I highly recommend Carbonite. Unlimited automatic backup of your internal hard drive on your PC or Mac for about $50 per year. This is not a sharing solution, but a piece of mind solution. Works really well and you don;t have to think about it. Has saved me on several occasions. Deals with more than just Photos. It’s nice not to be the only one doing multiples. I use dropbox (with 9GB because of referals) for most anolistic syncing. I just started trying GoogleDrive and have it matched to what I’m doing with Dropbox. I use Box for sharing. I’ve stopped using LiveMesh for syncing. I also use http://www.AeroFS.com as a system to system sync without using online storage but its small and fast (and still in beta so you have to be invited by entering your email). AeroFS does something they call Cloud Backup of your libraries (sync dirs) which I couldn’t find much info on so I have not utilized that feature. Thanks for the info on SkyDrive, I did have an old account (yep for OneNote online) and upgraded it to 25 GB, fricken sweet! I’ve played around with using Box for shareing too. I placed some source code zipped up for some of the talks I have given. I like how Box sends me a notification email when someone downloads my samples. AeroFS sounds interesting. Looks like a nice peer-to-peer sync solution similar to Windows Live Mesh. Scenarion #2: You forgot to mention Google Music. With 20.000 songs that you can upload and listen free, I think it beats anything else. This means that you can store and listen somewhere between 1000 and 2000 full CD’s ripped at 320kbps. – 1 minute of music compressed as MP3 at 256kbps is 2MB. Considering average song of 5 minutes you get 10 MB / file, now multiply that with 20.000 files and you will see that you get 200GB free storage for your music. This can go up to 300GB if you use higher bitrate mp3 files. Scenario #3: You forgot to mention Flicker pro account: unlimited storage for 25USD / year. I found it to be an unbeatable price/MB with no fear of increasing costs over time as photos and videos accumulate. Wow, 20,000 songs for free. That is 10 times how many I have on Amazon. I’ll definitely include Google Play in my music player review if I get around to posting one. Pictures will come later. I agree that Flicker should be as one of the top contenders. I got 50GB free from BOX with the purchase of Blackberry PlayBook. I can even give free 50GB accounts to my friends. Thanks, the extra 18GB from Skydrive was great to hear about! Thanks for the great comparison guide! One nitpick: While I agree with all of your sentiments and conclusions regarding iTunes, The fact is iTunes hasn’t had DRM on new purchases since January 2009. That doesn’t change any of your conclusions or motivations for your suggested solutions. Thanks again for the research. Not a nitpick, I didn’t realize iTunes was DRM free for all songs. I just noticed that I was able to upload a few albums that I purchaced from Apple using a gift card. I feel better about using Apple products now knowing that I’m not locked in. Thank you for the correction. Thanks Dan. I have added a correction and a note to this post. Nice comparison… Right on about the Amazon cloud/music service! I’m also an old fart (44) and I do the same as you with my mp3’s. I also use the Drobo (FS-Pro 8 drive) to backup all my data (music, dev projects and movies). I find it easy, fast and has built in RAID type protection for up to a 2 drive loss. I still want to feel safe by having all my files local. My house had been broken into and the computer stolen along with all the backup disks. I’ll throw another usage scenario at you. I’m writing a little Web app to manage my budget. I have a Linux machine running nodejs and Dropbox on Amazon EC2, and Dropbox running on my Windows laptop. Whenever I make changes on to any of my JS files on my laptop (for those changes that don’t require a server restart), I only need to wait 2 or 3 seconds before I refresh the site in my browser to see the changes. It’s an insanely easy way to develop, deploy and backup my work. I wonder if the synch tools from the other vendors work that fast? Very creative use of Dropbox.